Apple iPod Shuffle (4G) review | What Hi-Fi? 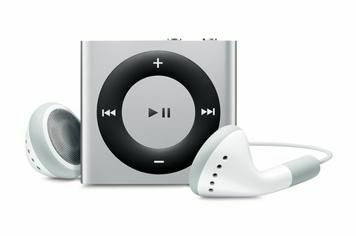 Many thought that Apple scored an own goal with the third-generation iPod Shuffle. Stripping it of controls made for a dinkier device, but forced owners to either stick with the supplied headphones (with an in-line remote) or pay extra for an remote adaptor. Not that Apple would admit getting it wrong, but the fact that the Shuffle bears a striking resemblance to the 2nd generation model, complete with built-in controls, is as close to an admission as we're likely to get. But, there's no doubt that the Shuffle is all the better for this new (old) look. Ease of use is increased, yet you still get to access features such as Voice Over (where a voice describes the content you're listening to) and the ability to navigate playlists. And, although it's subtle, there's also an improvement in sound quality over the previous generation. Music sounds slightly clearer, more dynamic and punchier, even if the 2GB capacity means that most of your tracks stored on it are likely to be heavily compressed.